In mid 2015 I was considering starting a podcast where I would basically sit down face to face with people in media, marketing and advertising that I found interesting and have a chat about what they were doing, working on or thinking. I had been asked previously to be on a few podcasts which were recorded over Skype or some other internet comms platform and I never really felt it was a conversation as you could never really interact or engage with the other party, so I thought I would prefer to record these face-to-face. Enter my friend and colleague, Shawn Callahan, founder of Anecdote who while unpacking his bag in the office pulled out a Zoom Digital Audio Recorder. It looked fascinating with its external microphones and compact size and I asked him what he used it for? Since then I have recorded episodes in London, New York, Boca Raton, Singapore, Sydney, Melbourne, Zurich and more. Each one is between 30 and 45 minutes and is literally a conversation rather than an interview. In fact it is interesting how many requests I get from people all around the world to be on one of the episodes and they even provide me with the interview questions. Then I explain that we do not do questions and it is fine as long as we can record the episode face to face. So here we are at episode 100 and almost 30,000 plays (yes that is an average of 300 each and climbing). But please have a look through and pick a person or a topic of interest and then you can either listen to the podcast or if you do not like podcasts, you can read the transcript on the TrinityP3 blog. There are 100 reasons to listen and subscribe. Go on take the first step and have a listen or read. Here they are in chronological order. And if you like what you hear perhaps give us a five star rating on iTune here. As I said, Shawn Callahan, founder of Anecdote, is a long time friend and colleague who inspired the Managing Marketing podcast. Here he discusses his passion which is storytelling for business and in this particular case marketing and advertising. Shawn shares his observations on where often marketers and their agencies get the storytelling concept wrong and questions the merits of story-doing, the latest trend in the advertising industry. Cam Carter is founder of Navigare, with a focus on client and agency relationships. This was recorded just after the podcast with Shawn and before I could buy a Zoom Recorder for myself. So Cam and I sat down in the Boardroom of TrinityP3 in North Sydney and discussed the issues surrounding the management of these relationships on a little pocket recorder I had. While the quality of the recording is questionable, the content is not. Peter Le Guay is a Partner at Thomson Geer and Doug Woods, the legal attorney who works with the ANA in the USA, introduced me to him. We explored the legal definition of an agency and agent of a principal and compared this to the legal definition of independent contractors. Nic Christensen was Deputy Editor of marketing news site, Mumbrella then and had broken quite a few stories on the media situation at the time. We sat down for him to share his thoughts on how well or perhaps how poorly agencies and marketers engage with journalists and the role of journalists covering a profession like marketing. Glenn Granger was CEO at Marketing QED, which we had been in discussions with and we had this opportunity to sit down and record the podcast on one of his frequent trips to Sydney. His focus was the role of data in informing fact based decision-making rather than simply relying on intuition. Peter Strohkorb is the founder and CEO of Peter Strohkorb Consulting International who I met during my time as Chairman of the AMI. Peter’s focus is the increasing importance of aligning marketing and sales to a common business objective and he discusses the various challenges and opportunities that present themselves. 7. Jon Manning and Darren Discuss Not Just the Price of Everything, But More Importantly the Value as Well. Jon Manning is the founder of Pricing Prophets and a mad keen Essendon support too. He is passionate also about the fourth and often forgotten P of marketing – pricing. Jon talks about the role of pricing and the behavioural economics insights on pricing and explores how pricing works in advertising and marketing services. 8. Stephen Wright and Darren Talk About Media Agencies and the Ways Media Agencies are Assessed. Stephen Wright was Managing Director of Calibr8or, which was designed to calibrate media agency capabilities and performance. Stephen talks about the role of media agency assessments and why media agencies find it so hard to be distinctive in an often crowded market. Trevor Young is the PR Warrior and the author of the book microDOMINATION. Trevor sat down to share his thinking on the importance of professionals developing a strong personal brand and why some marketers find it so hard to do. He also shared ways professionals can build a reputation as a thought leader in their profession. Jeff Cooper & Ashton Bishop are Senior Partners at Stepchange, where strategy meets creativity. So it seemed natural to ask them to explain the meaning of strategy and why it has become so confused in marketing and advertising. The first podcast with two guests it taught me a valuable lesson in using the guests’ names more often so the transcribe can differentiate between the two. Alun Probert is the Head at GovCom Group having spent ten years as Communications Director for the NSW Government. Therefore he was the natural choice to discuss the role of marketing in Government and the changes being driven by technology to the communication process and the increased focus on customers from the Government perspective. Christopher Sewell is Managing Director of the Gaia Partnership with a passion for the environment and minimising the environmental impact of climate change. We discussed the benefits of sustainable marketing and the opportunities for companies committed to sustainability. Anton Buchner is Managing Partner of Front Foot Marketing and a disciplined and creative performance marketer. He discussed how direct marketing disciplines could be used to inform marketers on the best strategy using technology and data to more effectively engage their audience. Rakhal Ebeli is the founder and CEO of Newsmodo and had at the time recently become a father. Therefore we discussed new fatherhood, content marketing, brand journalism and the role of brands as content publishers. 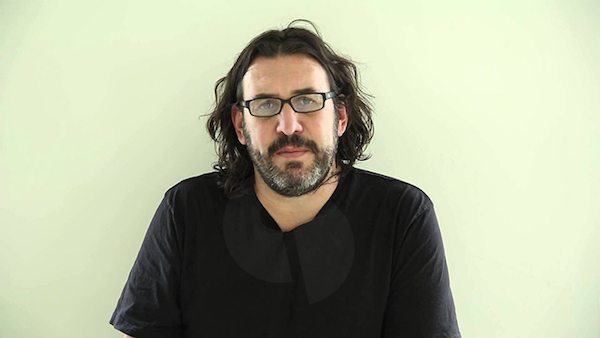 Elliot Polak was the CEO of Textappeal and Newsroom, a cross-cultural marketing and a global transcreation and social media company. We meet in his offices in London and discussed the importance of understanding cultural differences as a way of increasing effectiveness and change by using the clashes to raise awareness and engagement. Debbie Morrison was the Director of consultancy and best practice at ISBA, the voice of British Advertisers. Debbie has been a friend for many years and this conversation was in the ISBA offices just after they moved to Covent Garden. 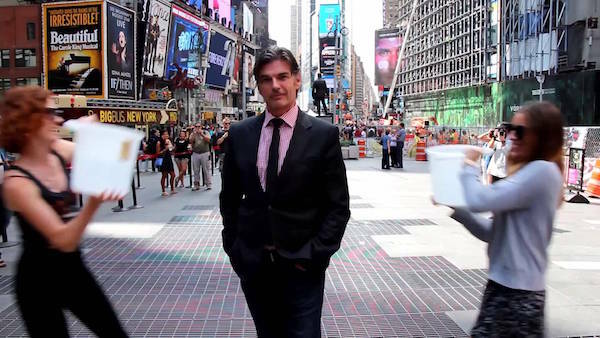 David Indo and Tom Denford are joint founders and CEOs of media consultancy ID Comms. We sat down in their Spitalfield offices to discuss the state of the media and how media value is defined, managed and maximised. I have known Tina Fegent for almost two decades. She is a marketing procurement consultant with extensive agency and industry experience in the UK and Europe and we meet in her workspace in London to discuss procurement and the role agencies and marketers play in the process. Mark Reinke was Group Executive, Customer, Data and Marketing at Suncorp Group and we sat down in his offices in Sydney to talk about the challenges for marketers in service industries who are shifting the business focus from product to the customer. Mark Fletcher is the Director of Shop Science and so we discussed the difference between data and Big Data and the way marketers are using it to get insights into consumer behaviour and using market research to validate the insights and reveal the underlying motivations. Gil Snir is Chief Marketing Officer at Benchmarking, now called just Bench. He had invited me to speak at their Digital Espresso Breakfasts around the country and his thoughts on programmatic media buying led to us recording what has become one of our more popular episodes. Nathan Hodges was the General Manager of TrinityP3 Marketing Management Consultants and has since become the Managing Director. We recorded this in the office one day where we discussed the increasing expansions in agency and supplier rosters, especially in large marketing departments and service centric companies such as telcos and financial services. Ashton Bishop, CEO of StepChange made a return visit, this time on his own, to talk on the relentless pace of change and the effect of change fatigue within organisations and why embracing, rather than resisting change and the opportunities on a personal and organisational level can help. Debra Giampoli was Director, Global Strategic Agency Relations at Mondelez International and a speaker at the ANA Advertising Financial Management Conference in Boca Raton, Florida. After her presentation she sat down to discuss the limitation of the creative pitch and explore a new way of engaging with agencies being piloted by Mondelez International. Steve Lightfoot was Senior Manager, Global Procurement at the World Federation of Advertisers and moderated a panel at the ANA Advertising Financial Management Conference in Boca Raton, Florida. He shared some of the challenges faced by global procurement teams. Douglas Wood is a Partner at Reed Smith LLC and works closely with the ANA. He provided a report on media agency contracts at the ANA Advertising Financial Management Conference in Boca Raton, Florida before sitting down to have this conversation on agency contracts. 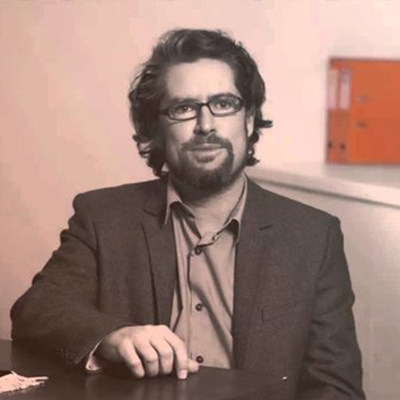 Bruno Gralpois is the co-founder and principal of Agency Mania Solutions, named after his book, Agency Mania. Bruno was at the ANA Advertising Financial Management Conference in Boca Raton, Florida and shared his thoughts on the changing client / agency relationships and the rise of the consulting firms. Michael Farmer is Chairman of Farmer & Company and now Chairman of TrinityP3 USA LLC. He is also the author of the award winning book Madison Avenue Manslaughter. He was also at the ANA Advertising Financial Management Conference in Boca Raton, Florida and sat down to discuss the changing economics of the advertising business. Mike Duda is the Managing Partner of Bullish, who I had previously met in New York City. Mike was also in Boca Raton at the ANA Advertising Financial Management Conference and discussed the role of performance based models and incentives and the need for agencies to transform their compensation models to thrive. 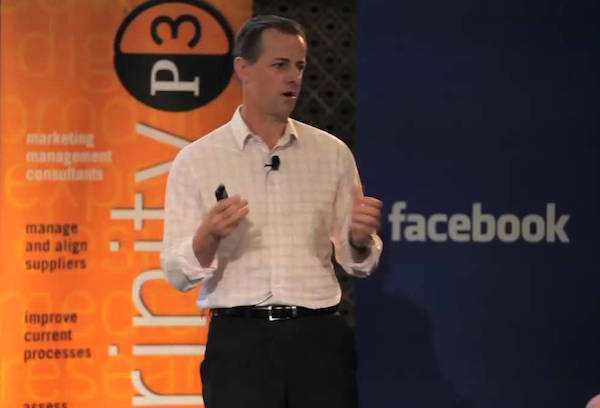 Mat Baxter was Global Chief Strategy and Creative Office at IPG Mediabrands in New York. We sat down in the Initiative NYC offices to discuss the increasing role of data in influencing media decisions and the how media agencies and creative agencies are coming back together with media leading the process and why. I have known Sean Cummins, Global CEO of Cummins and Partners since my time as a copywriter and CD in Melbourne. We sat down in his townhouse in SoHo to talk about the differences between the Australian advertising industry and the USA and why advertisers need to have more fun with their advertising. 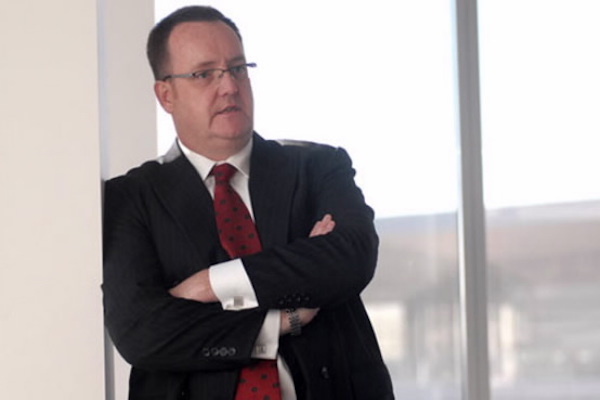 Brett Colbert was the Chief Procurement Officer at MDC Partners and has the Twitter name @rockprocurement. We had this conversation in the offices of MDC Partners in NYC about the need to move beyond savings and create a greater level of collaboration between brand and agencies. 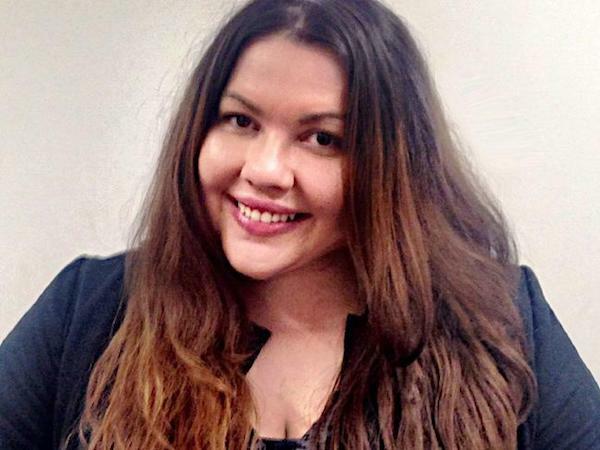 Suzie Shaw is the CEO of We Are Social Australia and had written a guest post for the TrinityP3 blog on the importance of the CEO on Social Media as the public face of the business. It was so good that I invited Suzie to sit down and discuss the topic further. I wrote a post on ‘what keeps CMOs awake at night’ and Jon Bradshaw, Director of Brand Traction contacted me to complain that the issues keeping CMOs awake were the same issues from a decade ago so I invited Jon in to review the issues and discuss why these issues remain the same in the face of huge disruption in marketing and media. In London to speak at Procurecon I managed to corner Peter Rowe who was on the Advisory Board of the event and a commercial and marketing professional who shared about his role as a commercial manager within marketing and the importance of applying commercial management disciplines to the marketing function. Bill Merrick was Managing Director of TrinityP3 UK and while I was in London we made time to sit down and record this episode based on his extensive career as both a marketing director and in regional and global roles on the agency side. I had been speaking at a couple of the Convergence events organised by Mike Jay who introduced me to Sara Delpopolo, the Principal at Axis Legal and the founder and President of the International Social Media Association who shared some great insights into the legal issues concerning social media. It was Mike Jay and his Convergence events where I met Jeff Bullas the CEO at jeffbullas.com and an entrepreneur, blogger, author and marketer. Jeff is an old hand at podcasts and so it made an interesting conversation discussing the importance of strategy and a focus on return on investment when using digital, content and social media marketing techniques. I had known of Steve Allen, Chief Executive of Fusion Media for many years and so I called and invited him to sit down and discuss the significant changes in the media landscape that had occurred during his career and his views on media value, lack of media transparency and the importance of trusted and respected relationships. Denise Shrivell is the Founder of MediaScope and an advocate for public interest journalism, and independent media and showcasing women in media. This podcast she demonstrates that discussing the role of MediaScope, her famous MediaScapes and her women speaker resource, Peggy’s List. 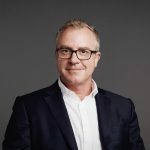 Chief Marketing Officer, John Chatterton had just completed the implementation of a marketing transformation designed by TrinityP3 at Macquarie University. He talks about the challenges facing marketers in Higher Education, which is undergoing significant transformation due to the changing expectations of students and industry. Mahesh Enjeti is the Managing Director of SIA Marketing Counsel and a long time friend of mine and TrinityP3 and here he discusses the important role of brand in not just providing a customer promise or proposition but to define the purpose of the business or organisation for all stakeholders. Denise Shrivell introduced me to Alexandra Tselios who is the founder and publisher of the BigSmoke.com.au and here we discussed the changes in publishing and her approach to content, advertising, publicity and the opportunities to engage with her audience in a way that delivers value to all involved. Andrew Reeves is the Founder and CEO of ARC Limited, and was introduced to me by his old Ogilvy colleague Bill Merrick. We managed to find a quiet spot at an agency in Shoreditch to sit down and discuss current agency business models and the challenges finding ways to reward agencies for the value they create. I first met Annalie Killian, who is the Director of Human Networks at Sparks & Honey, on New Years Day a few years earlier at a gathering organised by James Welch. Annalie was the Founder and Curator of the AMPlify Festival and so when I was in New York I met her at Sparks & Honey to discuss innovation, creativity and the role of technology. Kylie Ridler-Dutton is a Senior Consultant at TrinityP3 who takes a lead role in managing the many agency reviews, tenders and pitches, so she has seen the pitch process from the inside and shares what is required when planning and managing a successful pitch process for a wide range of agency types. Sharon Foo was the Client Partner (now the Managing Director) at Sparks & Honey. I was introduced to Sharon by Annalie Killian when I was in NYC and we grabbed the chance to sit and discuss the importance of understanding the cultural changes occurring in society to stay relevant to your audience. Jon Holloway had taken the leap from advertising to become the founder of Zuper Superannuation so who better to discuss the failure of financial services companies in leveraging the full potential of marketing to innovate and build their banking and insurance brands and businesses. Adam Ferrier is a Consumer Psychologist, co-founder of MSIX the Marketing Science Exchange and best selling author of The Advertising Effect. At the time of recording this episode he had left Cummins & Partners but was unwilling to share the news on Thinkerbell his new agency venture. Luke Brown CEO and co-founder of Affinity emailed me because he had read an article and post where I was saying that digital advertising should only be used where you can measure performance. He told me this was Affinity’s approach to digital advertising so we sat down and had a chat about how that works. 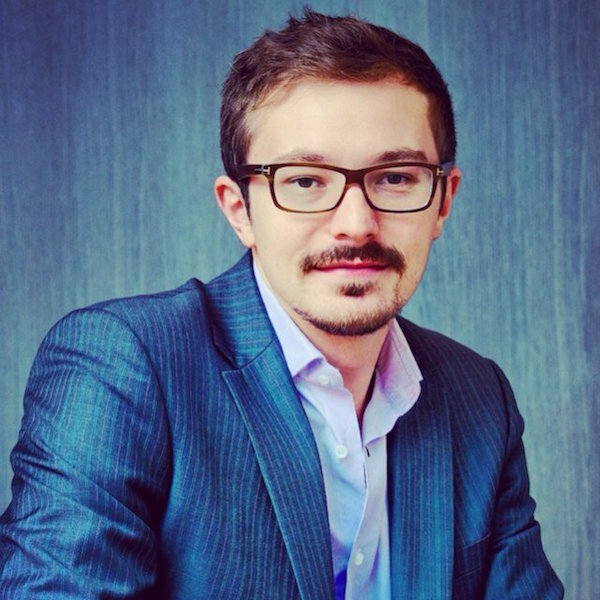 Tom Skotidas was the Founder and General Manager of Skotidas Consulting Group, specialising in social and digital demand generation, basically selling using social media, which makes sense when you think of it more as social than media. Lyndon Brill is a Senior Consultant at TrinityP3 and a specialist in marketing, media and advertising finance, he discusses the sessions and why he came along with me to the annual Advertising Financial Management Conference, in San Diego, USA that year. I had met Scott Hagedorn who was the CEO of the world’s fastest growing agency, Hearts & Science almost a year earlier in NYC, but I had to wait until he came to Sydney for Mumbrella360 before I could sit down and have this conversation on the important relationship between science and intuition in advertising. In the sound studio at Mamamia I got a chance to sit down and chat with Kylie Rogers, who was the Managing Director of Mamamia Women’s Network and Lauren Joyce, who was Head of Broad, their strategic consultancy. I have guest lectured in marketing for Dr Lee Styger, Director of the Executive MBA at Sydney Business School, University of Wollongong for the past three or four years and finally got the chance to sit Lee still for 35 minutes to discuss innovation in businesses. Simone Bartley was co-founder and CEO of Together Co who had a strong view on the concept of brand and brand promise in the digital marketing environment and why brand is core to any business and requires the leadership of the CEO. Having just brokered the deal that saw Accenture acquire the Monkeys it was definitely opportune to sit down and chat with Ben Tolley, Partner at Clarity about the increased activity of the consulting firms in this category and how soon it may be before it is a holding company that is acquired. The silver fox, Liam Walsh is the Managing Director of Amobee and he dropped into the TrinityP3 office to discuss the increased choice facing marketers today with technology companies, management consultants and agencies all competing for the marketing budget. Peter Anderson once co-wrote a Tropfest script with me called the Clairvoyant. Today he is an Automotive Journalist and the Editor of Redline so he bought a unique perspective on the changes and challenges facing the automotive industry. Simon Canning is a well-known and highly respected marketing commentator who has worked on both the trade media and agency side for the past 25 years and he made time to share and discuss the key decisions made over the years and their impact and implications on the advertising industry today. 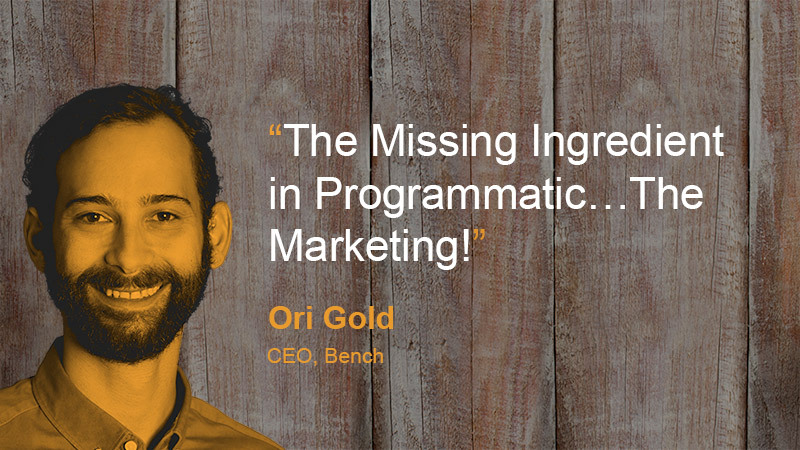 Ari Gold is a colourful character from the TV series Entourage, while Ori Gold is the equally colourful CEO of programmatic platform Bench who believes we need to embrace complexity and apply the scientific approach of test and learn to thrive in the changing world of marketing and business. Andy Lark is the Chief Marketer and Chair of Group Lark. 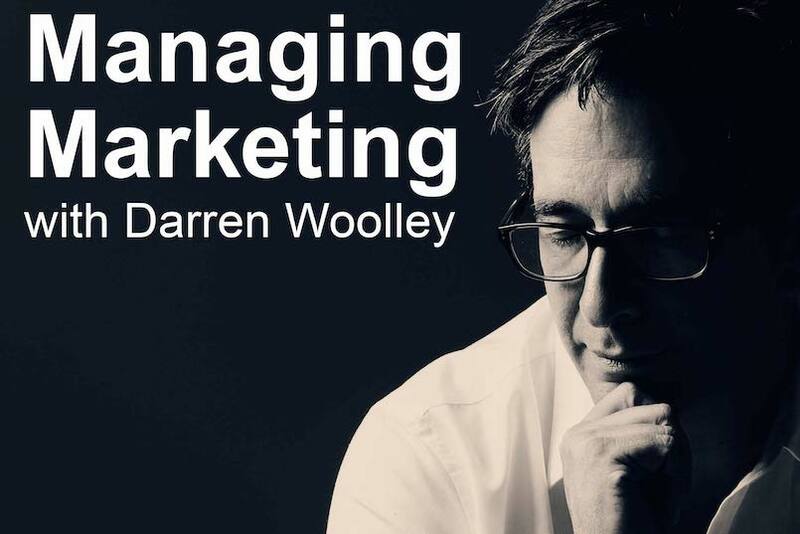 He is also a CMO, board adviser, Non-Executive Director and industry commentator and here, between gigs, he discusses the challenges and issues facing CMOs and Marketing Leaders today. 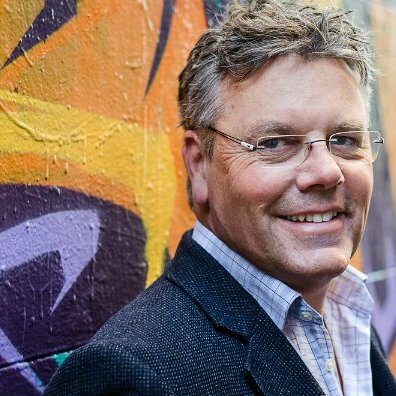 When I caught up with Adam Good, who was the Chief Digital Officer at Dentsu Aegis Network APAC, at his offices in Singapore he was reflecting on his career on both the marketing and agency side as the industry navigates digital transformation, organisational alignment, innovation, collaboration, trust and a shift to Agile Marketing. Erik Ingvoldstad was the CEO and Founder of Acoustic Group but I knew Erik from his time at McCann in Norway and Australia. We sat down in his workspace in Singapore to discuss managing a digital transformation from a cultural foundation and how to discover innovation within the organisation. Ed Pank is the Managing Director of WARC Asia and a self confessed Digital Marketing Evangelist, Start-up Builder, Advertising Insight Generator. While based in Singapore, he is more likely flying around the region championing the importance of creativity and innovation in business today. David Angell was the General Manager and Head of Media at TrinityP3 and on one of my trips to Melbourne we had planned to record an episode together. But time got away from us so we ended up recording it while sitting in his car in one of the famous laneways of Melbourne before our next meeting. 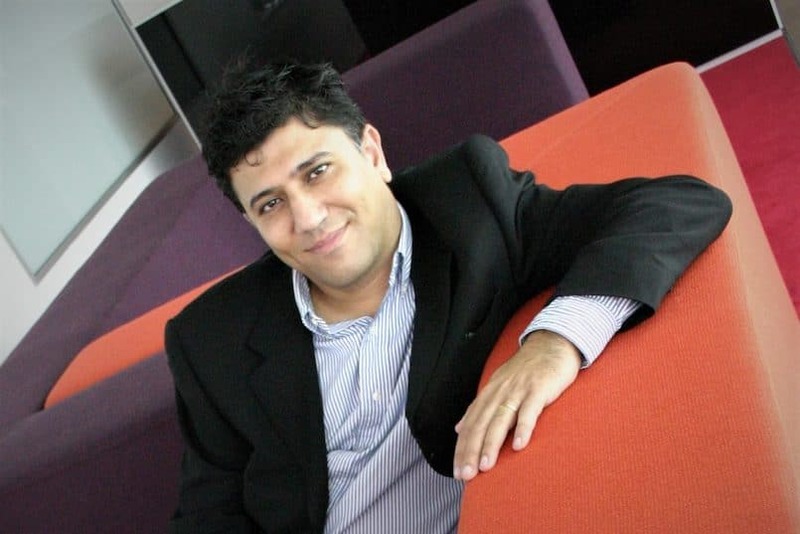 It was back in my JWT days when I first met mad Essendon fan Steve Emanouel who was the Managing Director of Spyglaz, a data platform that helps organisations identify customers most likely to churn. I first hear about Genero from Naseema Sparks who introduced me to Harry Preston, the Managing Director A/NZ. Genero is a technology platform for more than 300,000 film and video creators, connecting this community with advertisers, marketers and their agencies. Will Scully-Power is the Chairman of Datarati and the CEO of Pascal and a man who believes data can transform organisations to be customer centric or customer first. We had a chance to record this conversation in his offices in Sydney where we discussed everything data. John Oldfield is the Ambassador for Worldwide Partners, a global network of independent agencies and he was also the Membership Director for the IPA in the UK for more than 20 years and we discuss comparing advertising with management consulting, identifying some key differences. Nicole Sheffield is an industry leader in digital media holding roles as the Chief Digital Officer at News Corp Australia and Chair of the IAB, giving her a unique perspective on the changes and challenges in the digital media supply chain, including transparency, measurement and value. Justin Ricketts is the CEO of Hogarth Australia and recently shared his thoughts on the media and creative agencies recombining, while still recommending that the resultant production should be decoupled. Martin Cass, CEO of MDC Media Partners and Assembly, has a long history of running media agencies but while in Sydney he sat down to discuss how after leaving Carat, a year at the Wharton Business School and a meeting with the number crunchers behind ‘Money Ball’ transformed the way they do media at MDC Media Partners today. 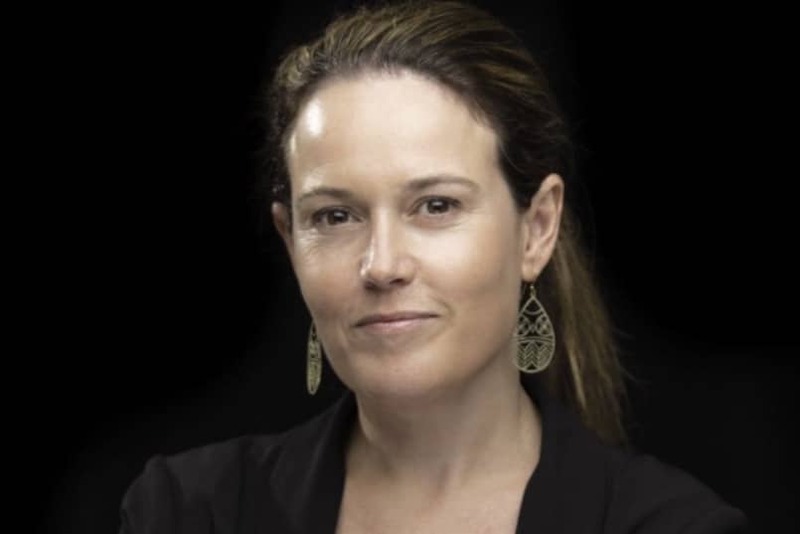 Elizabeth Heusler is a media maverick, communications warrior and strategy zealot and she shared how marketers may overlook the opportunities in the way they engage public relations into the communications mix. Is there a more boring topic than media contracts? Well not when you get to discuss them with David Angell who was Head of Media and General Manager at TrinityP3 and who shared his thoughts on the importance of robust, relevant and rigorous media contracts to ensure transparency, value delivery and performance. Michael (Mike) Morrison was a highly successful media and advertising executive who is now the Founder of the Blacklight Principle and shares his experience of the advertising and media industry and the impact of mental harm and mental health in the workplace. I first contacted Ben Sharp, a Commercial Business Leader and Mentor, Investor and Non-Executive Director, and Chairman, after he became a LinkedIn Viral Sensation when the BPme app failed and he posted the implications on LinkedIn, which has had more than 300,000 views in less than ten days. Julia Vargiu is the founder of New Business Methodology and the Australian Director of SI Partners Global and she shares the stories on how agencies get new business and pitching right and how they get it horribly wrong. There are only a handful of people who have returned for a second go and Shawn Callahan, award winning author or Putting Stories to Work and co-founder of Anecdote, is one of them. He shares anecdotes about the role of storytelling in business and how often people get the concept of storytelling wrong. This is David Angell’s third and last episode before he departed as Head of Media and General Manager at TrinityP3 at the end of that year. He talked about the evolution of digital trading models and how agencies are changing but that advertisers are not taking full advantage of the way digital media buying is done today. I worked with Anne Miles when she was Head of Production at JWT. Today she is the Managing Director and Executive Producer of International Creative Services, now Suits&Sneakers. We caught up at her offices overlooking St Kilda Boulevard in Melbourne. It was at one of the Adforum consultant sessions in NYC where I first met Nick Law, now the President of Publicis Communications and Chief Creative Officer of Publicis Groupe. He was in Sydney and thanks to jet lag he popped in to the TrinityP3 offices very early one morning to have this chat. Professor Mark Ritson is opinionated, entertaining and outspoken on the issues facing marketing, advertising and media. He also runs a very good mini-MBA in Marketing, which is worth checking out here. 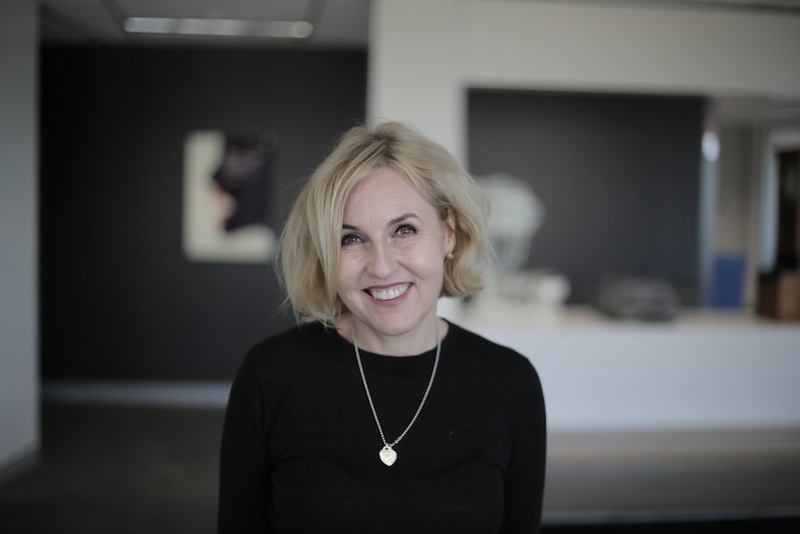 As an AdTech Advisory Board member I got to meet Mari Kauppinen, the Head of Marketing, Digital, Channels and Demand Generation at IBM Australia and a speaker on the Advisory Board of AdTech Sydney 2019. When I first met Jane Caro she was an award winning copywriter. 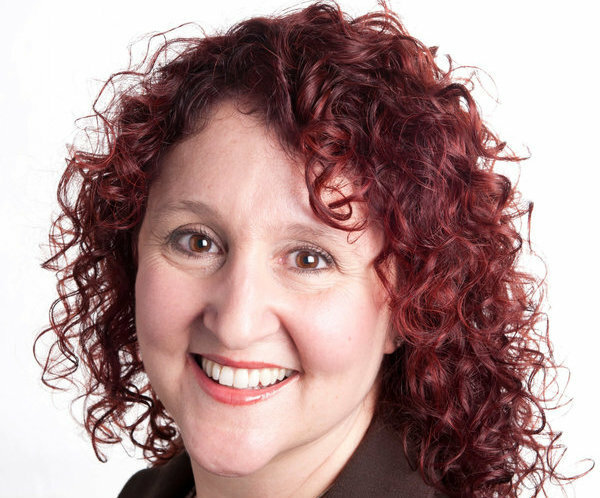 Today she is an author, novelist, lecturer, mentor, social commentator, columnist, workshop facilitator, speaker, broadcaster and in her own words, a jumped-up ‘award winning’ copywriter and Walkley Award recipient. Kshira Saagar is the Head of Analytics and Data Science at The Iconic, who was introduced to me by Wayne Krowitz, Group Marketing Manager at Comexposium as he said Kshira was going to be a highlight speaker at AdTech Sydney 2019. Wayne was right. Julian Barrans is the Business Director for TrinityP3 in Asia, but has also had a long career as a global marketer at Mars. 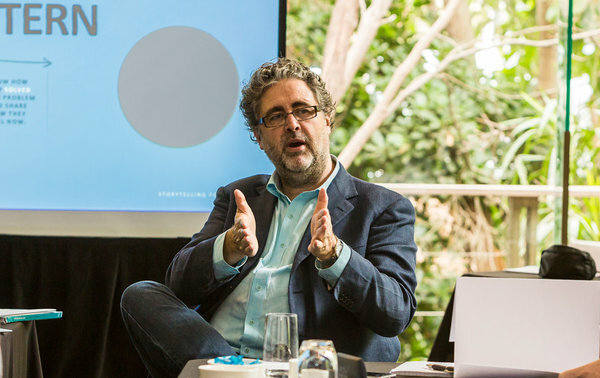 On one of his trips to Sydney he sat down to discuss the disciplined business approach to marketing and why marketing needs to sit at the table with their colleagues to drive and deliver business growth. Peter Miller would often be seen paying for the drinks at the Caxton Awards, where we first met years ago. Today he is the CEO of News Media Works and shared his thoughts on the role of News Media in society as the fourth estate of democracy and the impact of #FakeNews on news media brands. Alison Michalk is the CEO of Quiip, a Social Media and Online Community Management Company and she discusses the importance of building an online community as a moat around your business, brand and organisation to protect it in a crisis. I read an article in AdNews by Chloe Hooper who is the National New Business and Marketing Director at media agency PHD, where she was critiquing pitch practices so I contacted her and asked her to share her experiences of best practice pitching, worst practice pitching and how pitching can be improved to deliver better outcomes for marketers and advertisers. 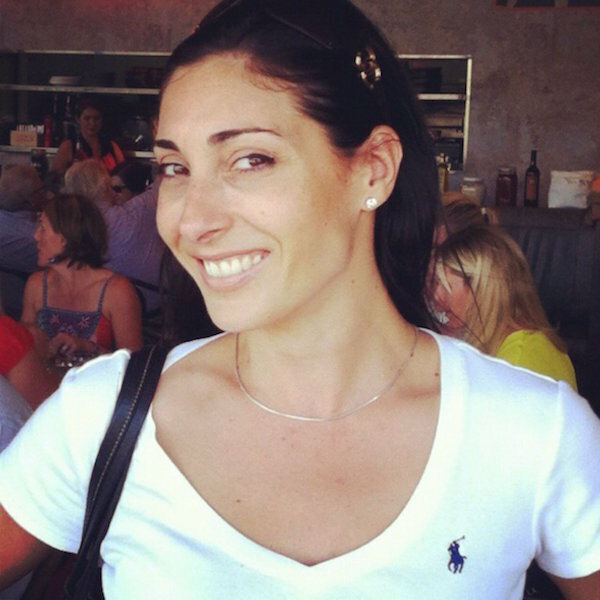 Zena Churchill is the Director of Max & Buddy Marketing Experts with experience managing marketing teams and agency teams. She came to Sydney to discuss the challenges facing organisations in adapting and responding to the complex changes and the opportunities provided in General Stanley McChrystal’s book Team of Teams. As a fellow AdTech Advisory Board member, Jo Gaines, the AVP Salesforce Data & Audiences & Co-VP APAC Salesforce Women’s Network invited me to her offices in Darling Harbour, Sydney where we discussed taking customer experience to the next level. Virginia Hyland is founder of Hyland Media and a Board Director for the Media Federation of Australia so she is well placed to discuss the state of media relationships and the role of programmatic, the rise of the small independent agency and the management consultants and the opportunities these provide for focusing the market attention on media value. Ilona Evan is a Senior Digital Consultant at TrinityP3 and she discusses the role of digital media and digital marketing and the issues and challenges it presents for marketers and advertisers and why many of the benefits of digital marketing have failed to materialise. Steve Sinha was the Chief Operating Officer of the Australian Alliance for Data Leadership and he shares his views of the role and challenges of using data to inform media, marketing and customer experience management and how the hype and reality gap exists not because of technology but the slow pace of marketing transformation. Greg ‘Sparrow’ Graham was the Group Marketing Director for WPP AUNZ and has been a long time new business guru for GroupM agencies in Australia and the USA so I asked Sparrow to ‘sing’ about the media agency pitch process and where agencies and clients get it right and not so right. Jon Bradshaw, Director of Brand Traction returns to share his thoughts on the essential role of strategy in a world obsessed with short-term results and tactics and the role of creativity, not just in the advertising process but for strategy, new product development, innovation and business generally. 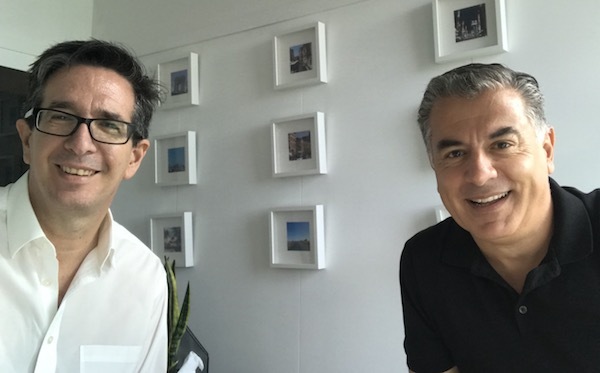 Andrew Little is the CEO of DDB Australia, in fact he has been at DDB as long as I have been running TrinityP3 so we discussed the changes in the Advertising landscape and the agency responses to those changes. Clive Duncan is a Senior Production Consultant at TrinityP3 with years of experience in the film, video and television industry, in fact he has so much experience he is the longest serving TrinityP3 consultant, excluding me. And while he loves great production, he hates indulgent waste and the lack of discipline that costs advertisers dearly. There are so many people I’d like to thank. Firstly, everyone who has graciously and generously given their time to record a podcast episode. Thank you to every one of you thought-leaders, professionals and practitioners of marketing and communications. Next I want to thank Jared Lattouf of JML Audio for all of the editing, mixing, sweetening and support managing all of the episodes since day one. And Penny Voigt of Your Virtual Assistant for managing more than half a million words in transcriptions and making me appear literate and coherent. Next I want to thank Mike Morgan and the team at High Profile Enterprises for managing the SEO and social sharing of the podcast episodes through the TrinityP3 blog. And Zoey Cheng who is the hard working marketing executive at TrinityP3 for co-ordinating the madness. Finally I want to thank Shawn Callahan for inspiring me into action with his Zoom Recorder and his idea of creating a podcast. If you are seriously interested in recording an episode, or know someone who would make an excellent guest, please let me know here. Let me know who and where you are and what you want to talk about. I cannot promise anything but you could be in one of the next 100 episodes of Managing Marketing. In the meantime check out the podcasts here, or subscribe here or read the transcripts here. And if you like what you hear why not give us a five star rating on iTune here. Thank you. The first 100 have been a lot of fun. Stay tuned for the next 100 coming very soon.